We already know that letterbox distribution is a smart sales tactic – Neilsen research shows 45 per cent of Australians have considered buying something, 42 per cent visited a store, and 19 per cent went to a website after engaging with letterbox marketing material. But it can also be a great way to build your brand and position your business. One of the great advantages of letterboxing is that it gets you inside someone’s home. What that provides is a strong opportunity to connect with those customers, and offer them something of value. Recipients of an offer in the mailbox perceive it to be worth more than the same offer on a screen. The UK’s Royal Mail found people value something they can see and touch 24 per cent more than something they can only see. Added to this is the fact that 57 per cent of people claim that receiving mail makes them feel more valued. Letterbox media presents a huge opportunity for brands to create a stronger relationship with consumers. In real estate, connecting with local customers in a tangible, creative and consistent way can help forge the connection that turns the thought of selling into a conversation. Yes, many people take steps to sell in Spring, but the decision is often made long before. If yours is the brand that keeps appearing in the mailbox, offering valuable information, advice and evidence of outcomes, you can increase the chance of recall by potential customers. A case study from the European Letterbox Marketing Association found that letterbox drops was the single channel with the greatest impact on brand awareness, outperforming radio and TV as single channels. The quality of your letterbox material plays a key role in helping position your brand and deliver a lasting impression. 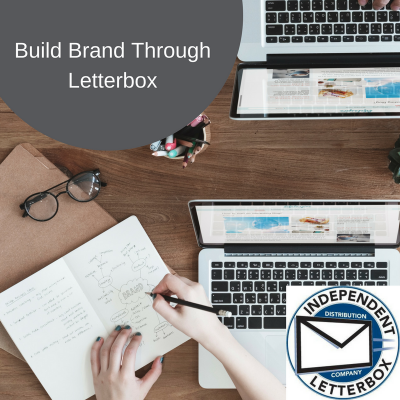 The letterbox marketing space is much less cluttered, but it’s still important to stand out. Think carefully about the impression you want to give your prospective customers and choose your images, words and design accordingly – even down to the weight of the stock you use. Used effectively, these elements can inspire a set of emotions in your customer when they think about your brand. Including an offer with your letterbox marketing can deliver even stronger opportunities to connect with potential customers. Asking them to sign up for a free valuation quotation on your website, for example, could allow you to capture their email address to market to them through another avenue, as well as reinforcing your brand message through the look, feel and user experience of your website. Then comes the ultimate opportunity – getting inside their home and having that all important face-to-face conversation, which can ultimately lead to the best possible outcome for your business.